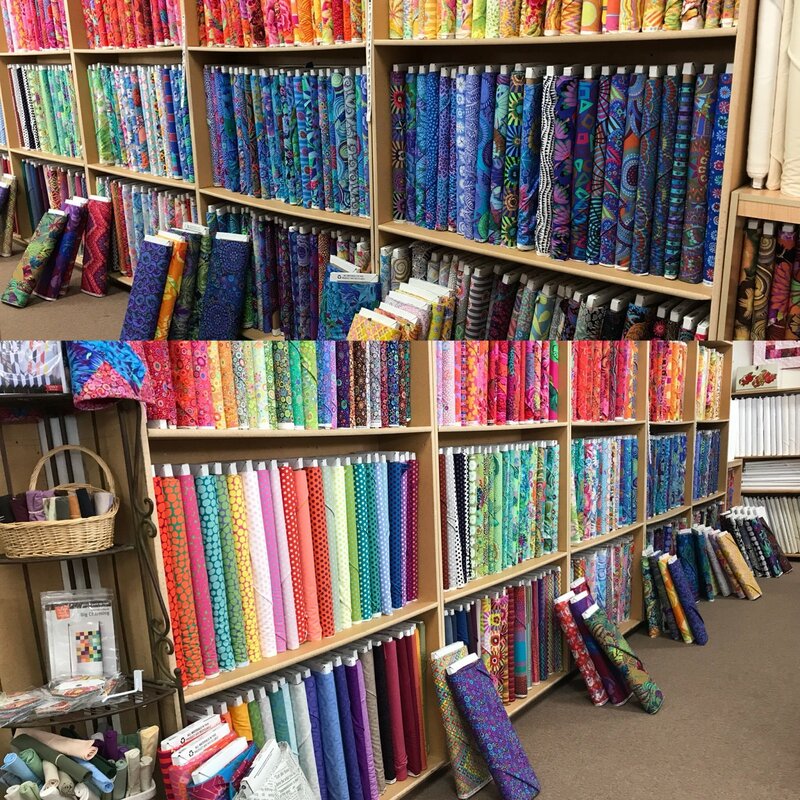 Largest selection of Kaffe Fassett fabrics in Southern Cal. 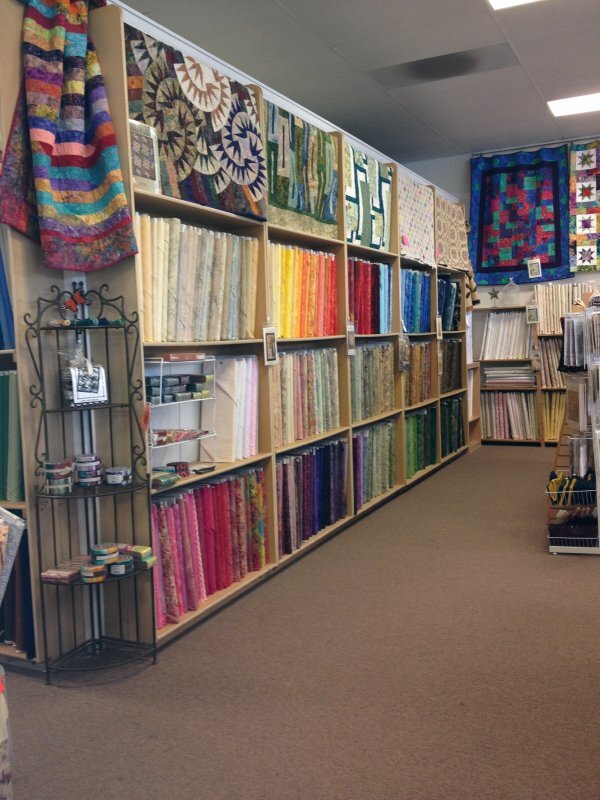 "Not ONLY is the shop beautiful and FULL of beautiful fabrics... the staff is beautiful and wonderful!" 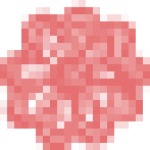 Come and learn the crazy piecing technique by One S1ster (Buggy Barn). Then make this beautiful flag quilt to display your patriotic pride. Make either the Wolf Abstractions or the Cow Abstractions by Violet Craft. This class is a great beginner friendly introductory to bag making. Join our new teacher, Dawn Johnson, to make 3 very different and useful little pouches. First, you will make a very handy eye glass case, great for those readers and sunglasses. Second, you will make the cutest little coin purse with a metal clasp closure. Then to top it off, you will make an adorable little zippered pouch perfect for a lip balm or your ear buds. 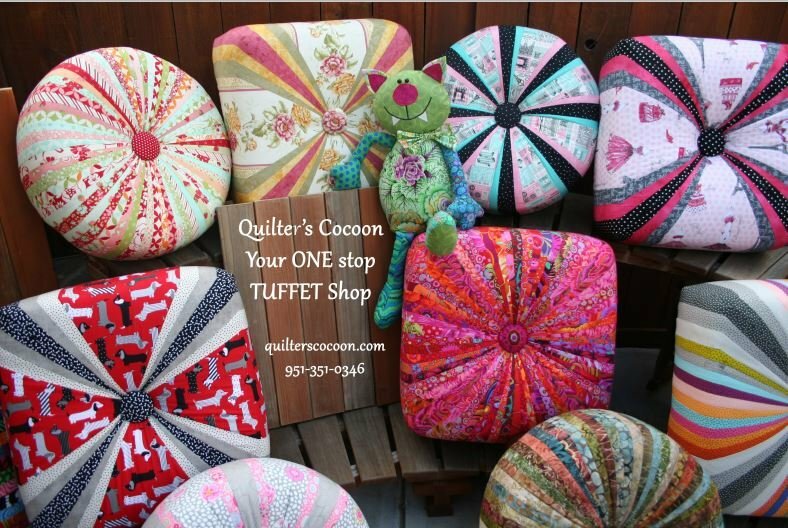 Tuffet class, A touch of whimsy for your home. 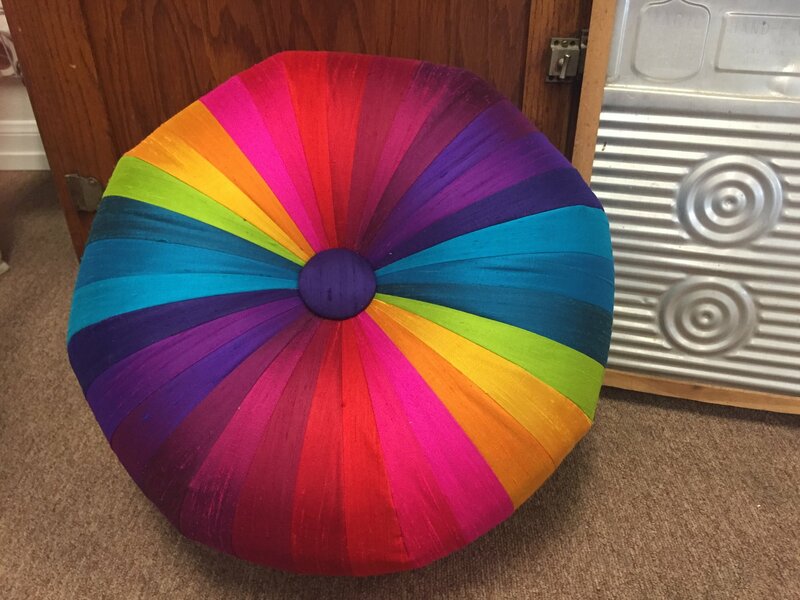 What's a Tuffet? 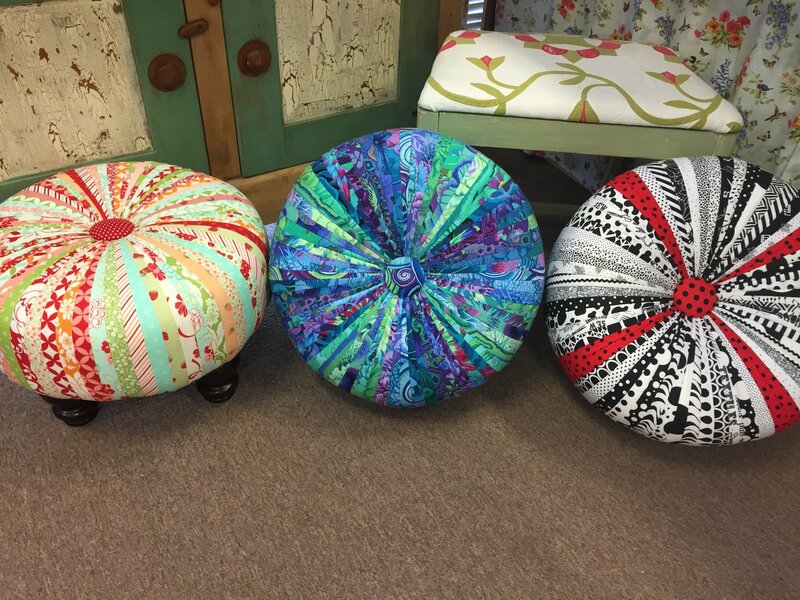 It's an upholstered low seat or stool but much cuter when you put your own style to This is a 2 day class. Let's use those Jelly Rolls that we have been collecting! Pick your favorite one and make this fun area rug. Fun and quick project! You have a choice of making the oval rug, or the rectangle rug, or the round rug. We just love this little wallet! It holds everything you need and looks great too. They can be playful or match your favorite bag - you will want more that one for sure! They also make great gifts. This is quite frankly the best backpack/cross body bag ever! You will love how it converts quickly from a backpack to an adjustable cross body bag. It has a zippered pocket on the front as well as interior pockets for your phone and other important items. This is the perfect bag for travel or just strolling around the next quilt show.